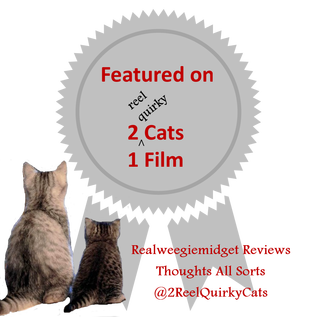 I’m very excited today because Gill from Realweegiemidget Reviews and Catherine from Thoughts All Sorts have selected me to be a featured guest this month for 2 Reel Quirky Cats! Being a guest is simple, all I had to do was review a movie trailer of my choice. When they ask me to review a trailer, I instantly knew which trailer I wanted to review: Guardians of the Galaxy Vol. 2 teaser trailer. It is hands-down one of my all-time favorite trailers. I’ll get to why in a moment, but first here is the trailer for you to watch for yourself. This trailer shows the audience what they can expected from the character interactions throughout the film. A good example of this is the scene when Mantis reveals Star-Lord has feelings for Gamora in front of her and Drax. Another is when Star-Lord and Rocket are talking about if anybody has any tape. These two scenes in the trailer show how we should expect the characters to interact with each other throughout the rest of the film. With just two short moments, the trailer covered almost every guardian, too. Alongside my first point, the trailer sets up the tone for the film well, mostly using the character interactions. It’s light and humorous, just like the first movie. The ends of the trailer with Rocket explaining how the bomb works in the beginning and Groot running away with the bomb at the end are the highlights for me and are a prime example of the tone to expect. The first Guardians of the Galaxy had a fantastic retro soundtrack and this trailer confirms that the same can be expected in Vol. 2 by using Fox on the Run by Sweet. Knowing the soundtrack from the first film and a similar song being used in the trailer, it isn’t hard to realize that the sequel will have a similar sound. What more do I need to say?! Baby Groot is absolutely adorable and the scene where he is attacking the Ravager on the bridge made the trailer for me. A big thanks to the lovely Drew for allowing us to add his post, which was copied in full with no alterations. If you are a blogger and would like to be featured here as one of the 2 Reel Quirky Cats monthly Guest Posts, please drop a line to me via my Contact Page. In your email add your blog, choice of preview and the topic choice and after I chat with Thoughts All Sorts, we can approve your request and provide some possible dates. Also write to me individually, if you would like me personally to review your book, TV Programme or movie. Thanks for having me as a guest, ladies! 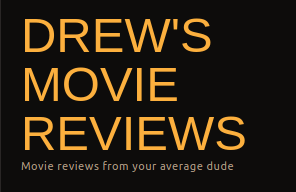 Thanks for such a fab review Drew! Was lovely for you to write for us!